It’s not going to be a fun conversation. But it needs to happen. We need to talk about suicide in rugby because we are human beings before we are rugby players. Every brother we lose is another tragedy that causes shockwaves to go through our community. Every brother we lose is another family and club that will suffer forever without them. Every brother we lose is irreplaceable and the world is made a little bit less special by their absence. At the outset today, I need to say that I’m sorry that I’m not mentioning those women we’ve lost in similar circumstances. Ordinarily I would. We’ve made a considerable effort at Ruck Science to remain gender-neutral in all our writing and content presentation. But today, I’m going to focus on the guys. I apologize if this offends anyone, but the statistics are fairly clear. Suicide is a predominantly male problem in western culture (1). And in the United States something like 4-5 men take their own lives for every woman who does the same (2). With the female rugby community representing around 10-15% of the total and suicide rates being so overwhelming skewed towards men, I’m sure our female readers will forgive me this one time. That’s not just one club either. I’ve played for 4 different clubs and the level care, love and support I’ve gotten at all of them was comparable. I dare say anyone reading this could say the same if not more about the rugby clubs and teammates that they’ve played with in their lives. There are things that I can ask for help with from my rugby playing friends that I would NEVER ask of my parents or children. It is a special relationship, one that we all cherish. Why do our mates choose to leave us forever? This is a complex question with no simple answer. Every case is different. Depending on the individual, there may be medical, career, relationship, financial or other personal challenges facing any of the guys we play with. But some people are clearly at more risk than others and it’s worth us acknowledging that. But when we talk about the rugby community there are a couple of other data points we need to think about. In particular that white males accounted for 7 of 10 suicides in 2015 with the rate of suicide highest in middle age — white men in particular. And that Firearms account for almost 50% of all suicides. This is instructive for us in thinking about who the most at-risk members of the rugby community are. Though it might not be immediately obvious, current rugby players are statistically less likely to commit suicide than our retired counterparts. If we’re going to talk seriously about the problem of suicide in the rugby community, we need to remember that retired players, and those who are forced out through injury at any point in their careers are the most at-risk people we probably know. After almost 15 years of research into the long-term psychological problems associated with Concussion and mTBI, it’s now fairly clear that there is a link between sports concussion and cognitive decline (3). That cognitive decline can take many different forms, the most severe (yet to date still undetectable) is Chronic Traumatic Encephalopathy (CTE). Despite it’s recent notoriety, the diagnosis of CTE isn’t new (4). It was originally given to boxers in the early 1920s who suffered both symptomatic and asymptomatic concussions in the ring. In recent years, a shocking number of ex-football and rugby league players have been diagnosed post-mortem with CTE or have been thought to have CTE while still alive based on currently available medical imaging procedures available for testing mTBI (5)(6)(7). A single concussion is unlikely to lead to suicide. So if a player is knocked unconscious during a game, this doesn’t necessarily mean they need to be watched 24/7. What’s most concerning, however, is the cumulative effect concussions can have on an individual’s cognitive function and feelings of depression and anxiety (9)(10). Second-impact Syndrome (SIS) is the term given to a second concussion which occurs before the symptoms of the first concussion have subsided. While Repetitive Head Injury Syndrome (RHIS) refers to repeated head trauma that can occur at different interval during a person’s life(11). SIS occurs in rugby players who return to rugby too soon after a concussion injury and then receive another head trauma. While RHIS occurs in rugby players who have received multiple concussion diagnoses during their careers. I have Repetitive Head Injury Syndrome. I fell from a ski lift landing onto my head in 2001. I was knocked unconscious for around 2mins in a rugby game during 2007 resulting in hospitalization. And I received another blunt force head trauma in 2015. Fortunately, thanks to good coaching and player welfare procedures, I have not suffered SIS. Cognitive decline as a result of head trauma experienced through SIS and RHIS is a major risk factor for suicide. Players who have experienced either condition during their playing careers are much more likely to suffer from depression. If you or anyone you know has experienced either of these during your careers, I encourage you to seek a professional diagnosis and undergo regular memory and cognitive function tests. There appears to be a direct causal link between head injury and cognitive decline that can result in depression and suicide. But this is by no means the only medical risk factor. Rugby players have all sorts of career-ending injuries completely unrelated to concussion and mTBI. For the front row, these are very often neck injuries as we spoke about earlier this week. For wingers and fullbacks it’s most likely to be chronic hamstring problems. While for the rest of the forward pack, it’s shoulders and knees. Modern sports medicine has made it much more realistic for even amateur rugby players to return to rugby after major injuries like broken legs and torn ACLs (12)(13). But not everybody makes it back on the field. Some careers are cut tragically short by all kinds of injuries. Very often it’s the player’s doctor who needs to advise them not to continue playing. Other influences might include their family and their employer asking that they give the game away. I can’t imagine what’s it’s like being told you can’t play rugby anymore. But I’ve known dozens of guys who this has happened to. And I am yet to hear one of them say they don’t miss the sport, the team, the competition and the family. When something as special as rugby is taken away from you because of injury, the results can be devastating. On it’s own, a career ending injury might not be enough to convince a player to take their own life. But it is absolutely a risk factor that we should all be aware of, especially if the player goes into a post-injury state of depression. Most people who attempt suicide are suffering from symptoms of depression at the time (14). But this does not necessarily mean that depression is the only cause of suicide, or even that people who commit suicide have been depressed for an extended period of time. Depression is seldom the sole cause of suicide (15) and is often thought of (like suicide itself) as a symptom of a more significant medical or relationship problem happening in the person’s life at the time. Depression is also not necessarily a terminal illness. While some people will suffer with depression for much of their lives as a result of childhood trauma (16), others will encounter depression for brief periods as a result of major changes in their life. This is most commonly known as ‘Situational Depression’ which can come about after the loss of a loved one, a career difficulty or a relationship break up. Situational depression can even be affected by geography and is known by the term ‘Seasonal Affective Disorder’ (17). During winter for example when there is less sunlight, people are more prone to bouts of depression. As you can imagine, seasonal affective disorder is more severe the further away from the equator you go. Long-term depression is incredibly difficult to treat and the best course of action is generally for the patient to see medical professionals who will likely recommend psychotherapy and grief counseling. In certain circumstances however, the symptoms of Situational Depression can be mitigated with exercise, sunlight and a balanced healthy diet free from alcohol. For members of the rugby community, we need to understand that depression can be temporary but it is a major risk factor for suicide. Fortunately, we all have access to exercise, sunlight and good food. So we have the tools to help any of our mates suffering with Situational Depression (18). The key to recognizing and assisting a mate with situational depression is to genuinely care about their lives and circumstances and use that knowledge to watch for an increase in alcohol consumption, deterioration in diet or insular behavior. Remember, while not every depressed person will attempt suicide, well above 90% of those who do are suffering from depression-like symptoms. To better understand what’s actually happening in the mind of a person suffering with depression, this story by Alan Stokes paints a vivid and incredibly sad picture of what it means to live with the debilitating condition (19). Thankfully, very few rugby players become paralyzed on the field. But it does happen. And in these rare circumstances, suicide is not only incredibly common, but it can be carefully considered and rational approach to being paralyzed. Taking a position on the legalization of euthanasia isn’t something I can do today. But it is worth being aware that some rugby players who become paralyzed will plan, attempt and even ask for assistance with suicide (20). The most publicized case of assisted suicide in rugby was Daniel James. At the age of 23, Daniel was paralyzed in a training accident in the UK (21). Months later, his parents assisted in his suicide by taking him to the Dignitas clinic in Switzerland. They were later forced to defend their actions (22). 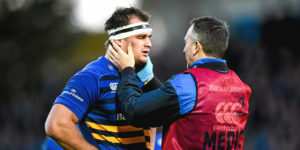 The point of this story is to say that although rugby has gotten much safer in recent years, it does carry risks and in certain circumstances, those risks can result in catastrophic injury. We as a community are constantly seeking to make the game safer. And for the most part I think we’ve done an incredible job. We’ve all but eliminated lifting tackles, changed scrum laws to reduce neck injury risk and put much tougher sanctions on any contact with the head or neck at the tackle (23)(24)(25). But it is impossible to legislate accidents out of existence so the incredibly small chance of a player being paralyzed will remain. When a player is incapacitated during a rugby game, or even in an off-field accident, there are things we can and must do to help them. While medical professionals will be able to take care of the person’s physical well being, their home life will change forever. They’ll need changes made to their home, workspace and relationships. You can help with all of those things if you so choose. There are also numerous resources for the newly paralyzed which can help you in dealing with a mate who has been injured. And perhaps fortunately there is the option that they can continue to play rugby after paralysis (26)(27). All rugby careers end in one way or another. As I outlined earlier, injuries can be an awful way for this to happen. But even if you don’t blow out your knee for the 3rd time, your rugby career will still come to an end one day. For us mere mortals, who have played club rugby our whole lives, the transition from weekend warrior to high-school coach probably isn’t all that severe. But in recent weeks, it’s become quite obvious that the higher the highs you reach as a rugby player, the lower the lows when your career comes to an end. Hearing about Dan Vickerman’s recent passing was a very sobering experience. Dan was, from all reports, a lovely, articulate and caring guy. It’s also important to understand that at this stage, we do not know if his death was as a result of suicide (28). What we do know is that Dan, like many elite rugby players, expressed to his mates that he had struggled at times with life after rugby (29). Many top level athletes go through periods of situational depression when their careers end. The need to compete is incredibly instinctual. To have performed at the top level of your sport for over a decade and see that disappear must be a frustrating experience. Former international players like Rory Lamont and Andy Powell have each come out and described the challenge of life after rugby with heartbreaking clarity. “Coming out of rugby, my world pretty much collapsed.” says Lamont. It seems that for some, staying “involved in the game” might not be enough either. In recent years, Vickerman has been a student at Cambridge University, a successful property developer and most recently the chairman of a joint Australian Rugby Union and Rugby Union Players’ Association committee dedicated to player development. It’s been made painfully clear this week that when rugby players retire, they are more at risk of depression and suicide. So as friends and teammates, we need to stay vigilant when we see or hear that someone is struggling with this transition. Playing careers end. But the rugby community is not going anywhere. Understanding that retiring players are at risk means we at least know who to watch out for. Men are bad at talking about how we feel and even worse at making ourselves vulnerable socially. So the natural inclination is to keep things close to the chest for fear of judgment or criticism. Being the ‘strong, silent type’ is almost a status symbol in modern culture. The challenge this creates for all of us socially is that by staying silent, we don’t allow others to feel safe sharing their experiences. But even though guys aren’t sharing, it seems they’re suffering in silence. Studies suggest that as many as 25% of retired athletes will battle with depression at the end of their careers (30). But it’s not just retired professionals. In the United States, upwards of 8% of retired college athletes will show depression symptoms post-graduation (31). Depression is unbelievably common, you are not alone. 2. There is life after playing rugby. There is nothing better than playing a game of rugby. It’s quite literally the best 80 minutes of my week. Retiring from rugby can feel very much like losing rugby. Which is why we see so very many players at all levels of the game making comebacks. Sometimes multiple comebacks. Last year I witnessed perhaps the shortest retirement in rugby history at around 18 hours. One of the difficulties retiring players have is seeing what their lives will be like when their rugby careers end and a new chapter begins. But there is life after rugby. The best example in recent years of this transition is Richie McCaw. Perhaps the greatest rugby player of all time, who retired in triumph after the All Blacks’ RWC2015 victory. It’s completely uncontroversial to say that McCaw was at the top of the sport. The only man to captain two successful world cup campaigns and the winningest captain in rugby history. He would have every reason to be struggling with depression after retiring from rugby. Over the past few years, significant research has gone into addressing what causes depression in elite athletes post-retirement. This research has consistently shown that retired athletes suffer from depression as a result of a loss of identity and a loss of connection with coaches and teammates (33). As we mentioned earlier, retiring collegiate athletes are known to suffer with higher rates of depression. So it wouldn’t be much of a stretch to suggest that even amateur rugby players could suffer with symptoms of depression post-retirement. Encourage strong relationships with coaches, family, friends and managers who care about your sporting success as well as your personal growth. She also points out that “being supported by significant others to consider other avenues in life will help you keep an open mind and diversify your identity”. Going back to Sir Richie, we can see many of these recommended techniques in what he’s chosen to pursue after retirement. In particular, Richie has recently gotten married, he flies helicopters and he does adventure races with his wife Gemma (35)(36). Flying helicopters demonstrates a willingness to “discover interests and competences for other activities beyond sport”. Doing adventure races suggests an attempt to “reduce exclusive identification with your sporting role and expand self-identity to other pursuits.” While doing this with your partner shows that he is being “supported by significant others to consider other avenues in life”. For anyone retiring from rugby, at any level of the sport, we encourage you to review and apply that 5 point plan in your own life. Be like Richie, find new passions and pursue all the other great things life has to offer. It’s is widely known that unemployment or the loss of a job is a major risk factor for suicide. Researchers suggest that around 45,000 suicides annually are the direct result of a person losing a job (37). But current rugby players are a fairly transient group, with younger guys chopping and changing different jobs, houses and partners almost on a weekly basis. The data suggests that we don’t need to be quite as concerned about this demographic group. Those most at risk from suicide after job loss are middle aged men with financial dependents like wives and children. When someone loses a job, they usually go through 5 stages of associated grief (38). With the fourth of these being depression. As mentioned earlier, this situational depression can be combatted with exercise, amongst other things. The takeaway here is that losing a job can be a major risk factor for suicide, with some 16% of suicides attributed to “career changes” (39). But a player or club member losing their job doesn’t necessarily mean you need to take their steak knife away from them. Dependent family members and children magnify the stress associated with unemployment. So if your mate has lost his job and is still trying to support his family, his suicide risk is greatly increased. While unemployment is very bad for people who are already suicide-prone. Severe financial loss as a result of a poor investment or dramatic change in circumstances can be much worse. I’ve known rugby players to take some pretty silly risks both on and off the field. This kind of risk-taking behavior is consistent with young males in particular, but can last well into adulthood (40). But nobody, regardless of their risk profile, is immune from making a bad financial decision or from being affected by “external economic factors (EEF)”. There has been a staggering, 40% rise in suicide amongst 40-65 yr old men since 1999 (41). With over a third of these being attributed to EEF. There’s even the suggestion that there is a ‘suicide contagion’ on Wall St, with some 329 financial specialists taking their own lives in recent years. That’s more than any other occupation tracked by the CDC (42). Financial loss can also be the most deadly cause of suicide. Because those who suffer a severe financial loss are much more inclined to take a family member’s life before killing themselves (43). So if your teammate is going to make a risky investment, or is prone to spending wildly not knowing where his next pay cheque is coming from, it might be worth keeping an eye on him. There is conflicting evidence about the role grief plays in suicide. While suicide often occurs in clusters, comparatively few situations of grief actually lead to suicide (44). And the risks vary widely depending on the family relationships involved. The grief associated with the loss of a parent for example can take a huge toll on people emotionally. Especially when that grief is coupled with feelings of relief or guilt (45). And there is no doubt that losing a parent can be the catalyst that causes someone to take their own life (46). But the loss of a sibling or the loss of a child are both statistically more likely to lead to suicide (47)(48). Alexander McQueen did not kill himself because his mother died. Her death may have been a contributory factor, but the most common background to a suicide is undiagnosed depression. Suicide is a response to mental illness, not bereavement. As members of the rugby community, we need to know that a grieving teammate is most at risk if they have some kind of diagnosed or undiagnosed depression. Because we’re not trained to make this kind of diagnosis, we need to rely on medical professionals. If we see a teammate struggling with symptoms of depression after experiencing a sudden loss, we need to encourage them to seek a professional diagnosis. The end of a romantic relationship is a major suicide risk factor for men. But the data can be a little bit misleading. Men are actually more inclined to end relationships than women, but they initiate less than a third of all divorces (51). Men also take break ups much harder than women do (52). It follows then that divorced men suffer significantly higher rates of post-marriage depression and suicide than women. Divorced women are no more likely to commit suicide than married women (53). But man’s risk of suicide doubles after divorce, making them over 8 times more likely to commit suicide than divorced women (54). The loss of time with children is only one part of this problem. There’s also the financial stress caused by a breakup, most of which is born by the father. When sole maternal custody is granted, men are often forced to support two households. The resultant financial stress on dads was so severe in Australia in 2000 that a reported 3 suicides every day were attributed to it (58). Breakups are going to happen, and as good teammates and friends, we need to be aware of the possible suicide risk this causes. We should be particularly attentive to teammates who are coming out of divorces and teammates who have children involved in their relationships. Who are our most at-risk teammates? This is the big one. If you notice that one of your teammates is withdrawn, unusually quiet or unaffected by positive news there may be a chance they’re suffering from depression. It’s not your job to diagnose their condition, but you can definitely make an effort if you see this happening to engage them, make sure they’re ok and remind them that you are there for them emotionally if they need to talk. Don’t overstep your boundaries and force them into conversations they’re not ready for. But do make it clear that you care and will listen. Pro and amateur sportspeople encounter difficulties with retirement. So when a player retires, we need to look past the effect this has on the team and consider the effect it has on the individual. 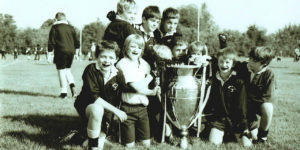 Retiring players should be engaged to stay involved in the club and the sport as much as possible with coaching, mentorship or refereeing opportunities. A sense of purpose can be a significant protective factor for people with depression and thoughts of suicide (59). So do your best to make retiring players know that they’re valuable members of your club and the community at large. Not everybody talks openly about their relationship challenges. But if a teammate opens up about the loss of a relationship, take notice. If they suffer from any kind of diagnosed or undiagnosed depression, a difficult relationship can lead to suicidal thoughts. You should be especially concerned about teammates who look set to get divorced and have children with their partners. Not everyone who attempts suicide succeeds. But the number of men who attempt suicide and succeed is much higher than women. This is widely understood to be because men are much more likely to use a firearm. A teammate who owns a firearm is not more likely to attempt suicide, but they are much more likely to succeed if they do. If you know that your teammate is suffering any kind of depression symptoms or major life, relationship or financial trauma, and they also own a firearm, they are at higher risk. We cannot responsibly advise any specific intervention over and above simple awareness of the risk firearms pose to suicidal people. When a teammate opens up about what’s going on in their lives, this can indicate a need for understanding and assistance with those problems. When someone takes the initiative to engage you in a conversation of this kind, it’s important to listen even if you don’t understand. To be courteous, encouraging and to make it clear to them that you will listen and help them any time day or night. Creating an open-door policy can give your teammate the lifeline they need. You should still encourage them to seek the advice of professionals, and help facilitate this if you can. One of the biggest risk factors for suicide is a previous suicide attempt. A person who has attempted suicide before is 3 times more likely than average to try again (60). It’s probably unlikely that you’ll know this kind of information in advance. But if a teammate shares this with you in conversations about depression, consider them at a greater risk than someone who says they’ve never attempted before. This is probably not going to happen very often, but it is worth mentioning. When a person is arrested, faces charges or is convicted of a crime, they can be at a much higher risk of suicide (61). Even if it’s a drunk driving or small misdemeanor charge, it’s worth keeping an eye on any teammate who has had a recent interaction with the criminal justice system. What can we actually do to help? If we want to reduce the incidence of suicide in the rugby community, what can we do? The first step in helping anyone is understanding what they’re going through. That goes for the individual as well as their friends and relatives. Suicide is often preceded by changes in a teammate’s behavior. A person being quiet is not a risk factor for suicide. But if a person who is overly social becomes insular and withdrawn, that might be an indicator of depression. The key to recognizing if a teammate’s behavior has changed is knowing more about them in the first place. That means asking questions, being interested and being socially engaged with the same guys you take the field with. It can be incredibly difficult to spot behavioral change in a stranger. So we all need to learn more about our teammates if we’re to be helpful in preventing suicide. Given that over 90% of suicide victims are suffering from mental illness at the time of their death, addressing suicide in the rugby community means asking our depressed teammates to seek a professional medical diagnosis for their depression. Please note, this does not mean that everyone on your rugby team is depressed and it does not mean that you need to get everyone on Zoloft to treat an illness they do not have. But if a teammate is going through a tough time, or if they express to you feelings of depression as a result of trauma, loss or any other difficult life circumstances encourage them to speak with a medical professional. This could be their general practice doctor, or a sports psychologist. Allow the professionals to provide referrals and recommendations where appropriate. Based on all the latest research, it seems that getting a teammate to recognize their depression symptoms and seek treatment can be a significant preventative measure. Ask – start by talking to them and asking if they’re ok to establish a dialogue. Listen – let them talk, be patient and try as best you can to be understanding. Get help – encourage them to speak with a professional and offer to assist. The old cliche about getting a person out of the house to help them deal with a breakup, or other challenging moment in life holds true. Situational and other kinds of Depression symptoms can be mitigated through exercise, sunlight and social interaction. However, these kinds of therapies are no substitute for professional medical care. So before you go dragging a depressed teammate out to training, remember; Ask, Listen and Get help from a qualified psychologist. As it happens, there is an activity that gets people out of the house and into an athletic environment, in the sunshine and around friends without drinking. Rugby. Our sport is just about the best thing you can have a person do to treat symptoms of depression. If your teammate’s doctor agrees, do whatever you can to get them out to training, to an old boys game or give them a coaching role. Suicide in rugby has been on everyone’s minds these past few weeks. But thankfully, rugby might also be the best medicine. Do you have any thoughts on the topic of suicide in the rugby community? We’d love to hear what you have to say. Please feel free to comment or share.